Bajars/Bazars, the traditional markets in India sprawl over large spaces with generally the traders selling same kinds of food stuffs sticking together, though not always. Though the cities house markets in ground floor buildings with stalls spilling over and around the market place, move a little away from the cities and you would find open air markets or at the most little shops created with bamboo and covered with jute and mat. Big cities generally have local markets and also food, clothes, jewellery, utensils, flower etc are sold in separate markets. But in villages generally one market has most of the stuff people need, and if they need something special they have travel to the nearest town to get it. 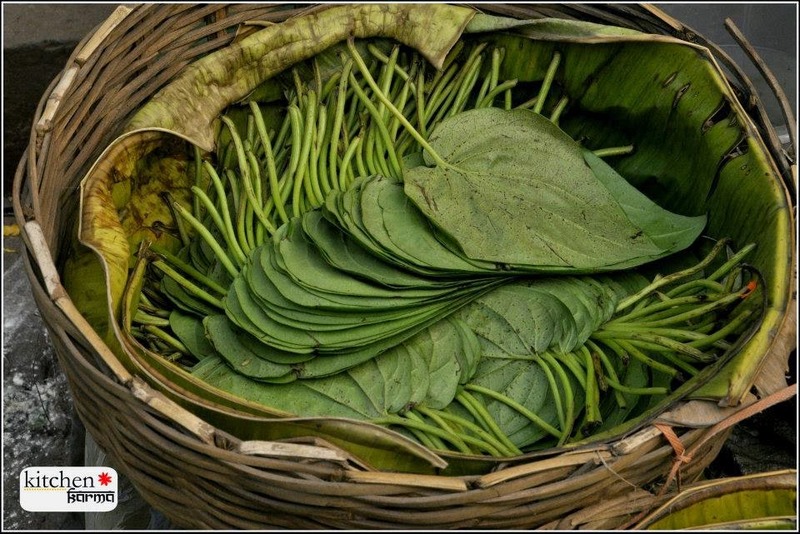 There are also occasional markets which happen once a week or month, these are called haat. I love roaming around in the markets. The sighs, the sounds, the smells and the bargains. Ah yes the bargains. Do you know most Indians love a good bargain? The best way to buy stuff is to sit down and have a chat and then get down to the business of bargaining. Of course if it is an incredibly busy market or shop, the trader might not give you much time. Now a days I have my camera with me, much to the amusement of the traders. I saw a few of them smiling in amusement at my clicking them. I wanted to tell them that with the rapid globalization the markets may one day soon be replaced by shopping complexes. 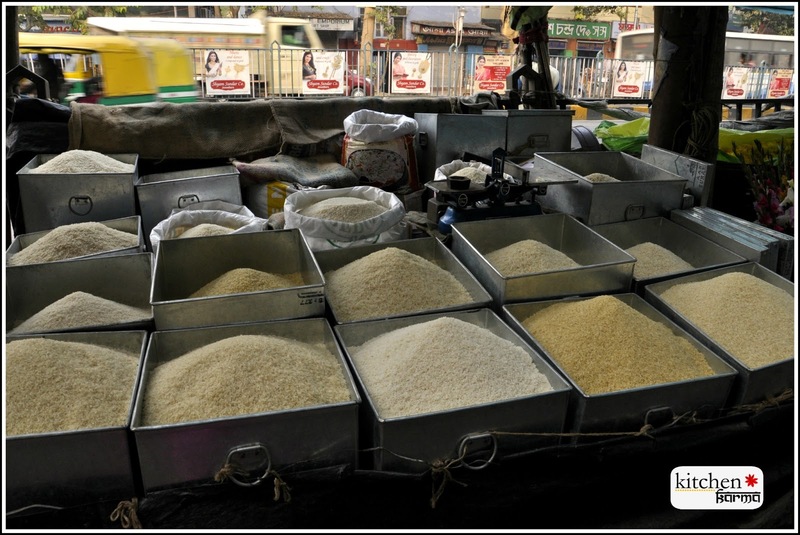 These photographs are taken in a market in Kolkata called the Lake Market. Gur/jaggery stored in earthen pots. Though jaggery is found in the markets throughout the year, depending on the season you can find solid, semi solid and liquid jaggery. 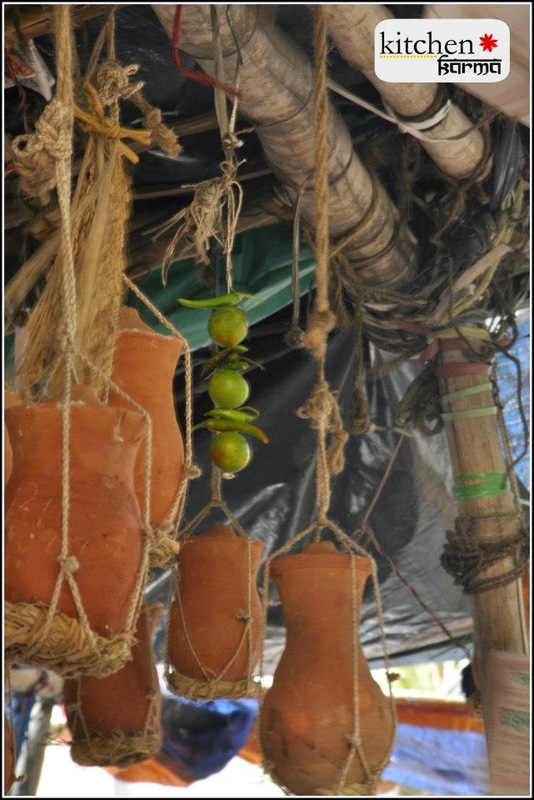 The liquid one which is stored in these earthen pots is the tastiest of the lot and is a delicacy of Bengal. We love dipping our freshly baked flatbreads in the jaggery and eating it, or making rice pudding with it or flavouring our sweets like sadness and rossogollas with it. 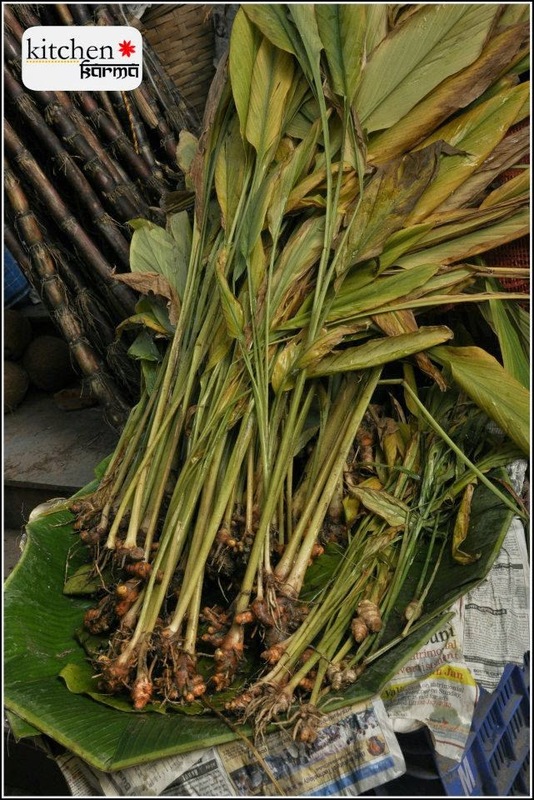 Fresh Turmeric: the pods yield turmeric paste, which is then dried in the sun to make powder which we mostly use in Indian cooking.It is the turmeric which gives our food the brownish yellow colour. But even 30 years back cooks mostly used fresh turmeric paste which had a much stronger smell. So a little went a long way, turmeric is a spice and is usually one of the first spice powders to go in while cooking is in progress, the reason being it needs to be cooked for sometime before it's raw smell disappears. The raw paste is very good for your skin and a great antiseptic informs my grandma. 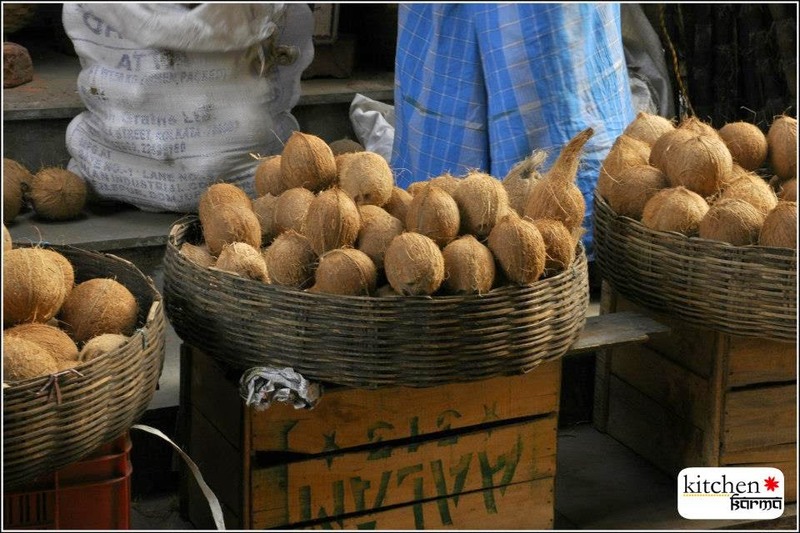 Ripe coconuts, the shells are cracked to extract the flesh which is used abundantly in Bengali cuisine, both savory and sweet. Tender Coconut, the water stored inside these shells make a lovely drink which helps in keeping dehydration at bay during the scorching summers. 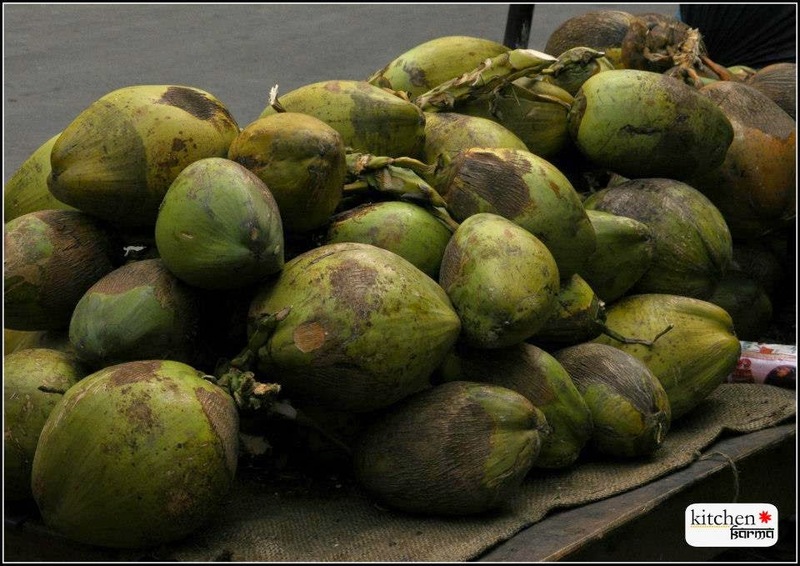 Because of our tropical climate and nearness to the Bay of Bengal coconut plants grow abundantly in West Bengal. 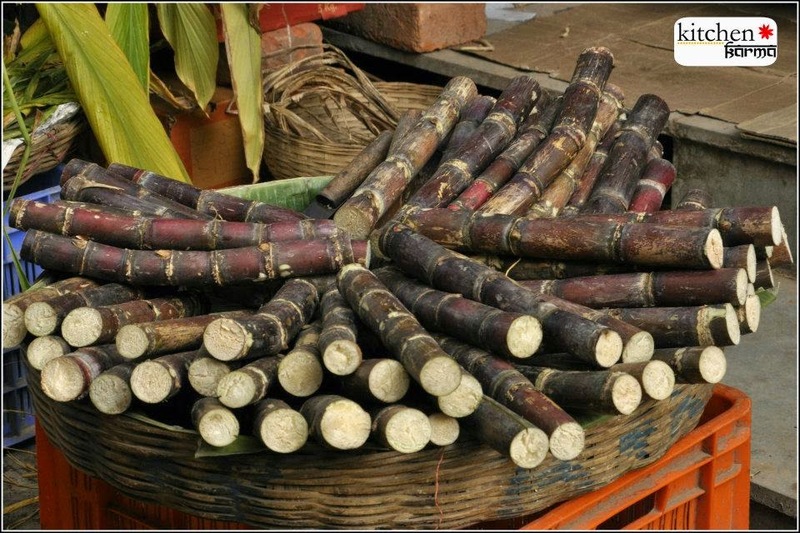 Sugarcane--you are supposed to take off the hard brown skin, take a bite and chew the straw like flesh to extract the juice. You need really strong teeth to do this. India especially the state of Uttar Pradesh is a major producer of sugar cane. Sugar is produced from sugarcane juice. This juice is a life saver during the scorching summers of India. I totally love doing this, just walk through the market, check out the produce, see if there is something new to take back.. super fun and very very satisfying! Looks beautiful. The jaggary pots remind me of the movie I think it was called saudagar withe Nutan and Big B. The whole movie revolved around making jaggary. Got homesick :) But thinking of the history of the food sold, probably a lot of the food was originally not Indian. Lovely post! 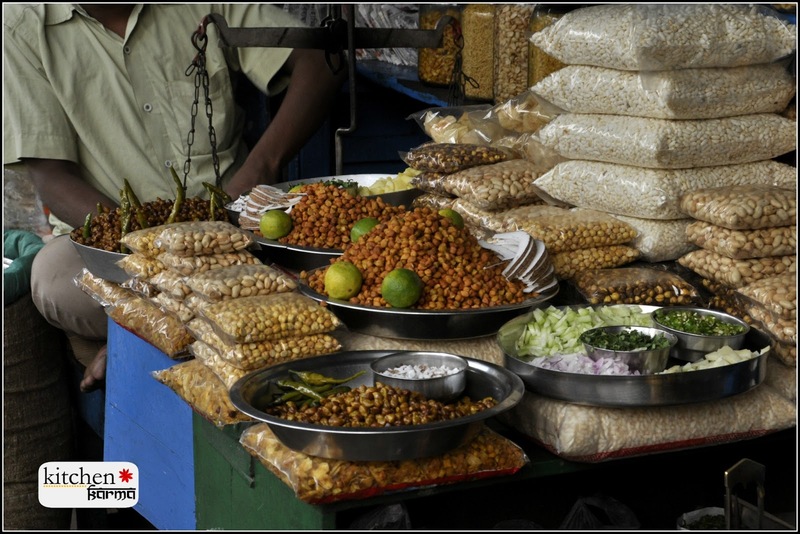 I love jhal muri! Thank you for bringing these beautiful pics of a place so far away from my country! How I miss fresh markets, you must be having a great time! Never visited this market in Kolkata..........whenever I go there I'm too busy shopping at New Market, AC Market, Metro and Forum :)Nice Clicks.